The success of any snowboarding mission depends on layers. 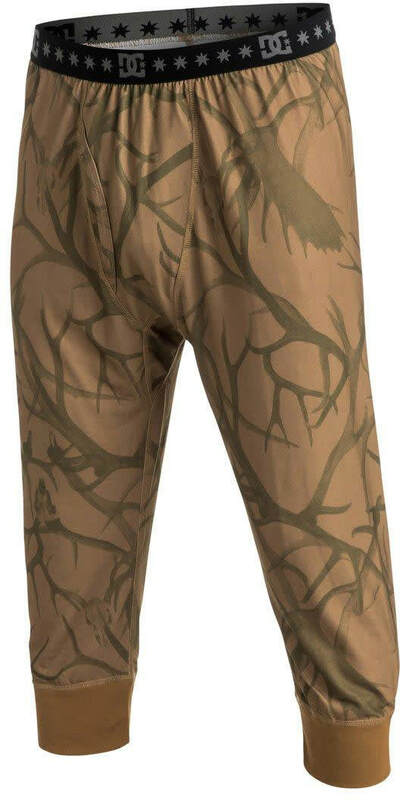 These DC base layer bottoms don''t just look good with an all-over antler print, the antibacterial treatment has stink-free properties so you can rock them day after day. Yeah, we know you''ve got better things to do on the hill than rinse your undies. 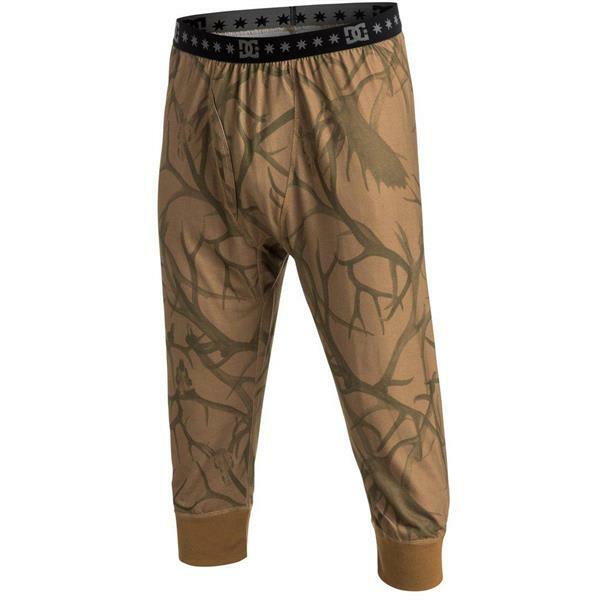 The moisture wicking properties will keep you cool when you''re hiking and warm when you''re sliding. The mid-calf length won''t pack your boot with unnecessary layers either.